GSTR-2 and GSTR-3 filing currently suspended but the dates for July 2017 to March 2018 will be worked out later by a Committee of Officers. All businesses have to file GSTR-3B by 20th of next month until September 2018. The due date for the month of April 2018 is extended to 22nd May 2018 from 20th May 2018. Read the press release here. Return filing is mandatory under GST. Even if there is no transaction, you must file a Nil return. You cannot file a return if you don’t file previous month/quarter’s return. Hence, late filing of GST return will have a cascading effect leading to heavy fines and penalty. 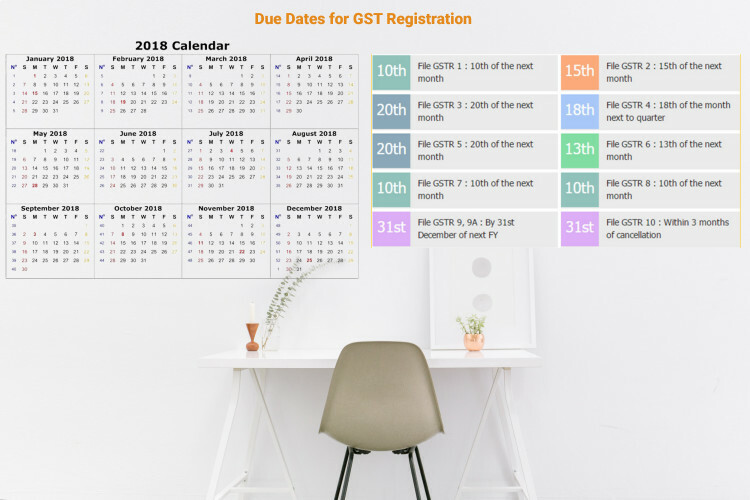 Late Fee for filing GSTR-1, GSTR-3B, GSTR-4, GSTR-5 & GSTR-6 after the due date has been reduced to Rs. 50 per day of delay. Late fee for filing NIL returns have been reduced to Rs. 20 per day of delay for taxpayers(i.e having Nil tax liability for the month) for GSTR-1, GSTR-3B and GSTR-4 & GSTR-5.